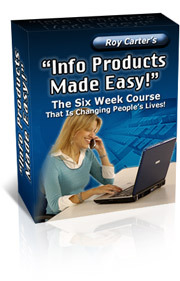 When someone tells you they’re selling information products online, you probably instantly picture the sale of eBooks. But although written information products are the primary way to disseminate solutions, they’re not the only way to profit from this sort of venture. Many marketers today are realizing the luxury of selling audio information products. With audio files, you can create solutions your buyers can download and listen to while they multi-task. It’s a convenience that’s very important to many busy men and women with limited time. Audio information products can come in the form of a downloadable file that can be sent directly to a person’s iPod for a podcast, or they can be mailed off via snail mail in CD format for buyers to listen to in their car or while working out. Burning an information product can be done very inexpensively using a CD burner built into your computer. And shipping for audio info products is cheap because it weighs very little. In addition to audio, many marketers take the video route to assemble amazing information products the buyers can see unfold before their very eyes. Using state-of-the-art video software like Camtasia, marketers can now create top quality deliverables for their customers showing them how to put their ideas into action. While an information product on developing a successful mindset might be a wonderful audio product, if you have something the buyer should see, like building a website step-by-step, then a video tutorial helps them get the most out of your product, reducing instances of returns. Another idea you may want to implement is combining more than one format for your information product sales. This increases your profits considerably and gives the buyer added perceived value. For instance, you might create a 50-page eBook on how to utilize a social networking system, but for the bonuses you offer, instead of using a PDF written file, you could give away a video guide showing them how to set up an account and an audio file teaching them how to develop the mindset of social marketing geniuses. With today’s high-tech toys available to the masses, the developers usually always create wizards that walk you through these systems to help you create information products without hesitation that appear to be professionally produced.